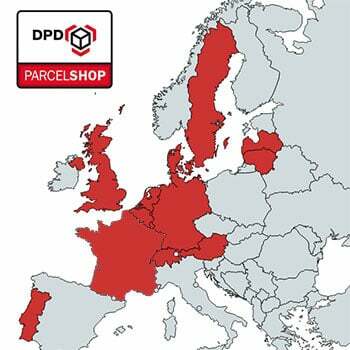 Getting your order shipped to a DPD Parcelshop is simple. Just order your products and in step 4 of the checkout choose DPD Parcelshop as delivery method. This will load a popup where you can select a parcelshop near you! After your order is completed, we will ship the order to the Parcelshop and send you the tracking-code!